Increased integration, more software, and remote monitoring are just a few of the growing trends in home security. Yet some industry players suggest a more holistic approach that encompasses more than technology. Keeping your home safe used to be simple: you put a big lock on the door and told everyone not to smoke in bed, and that was that. 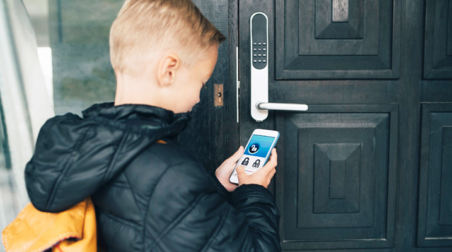 But the increasing sophistication and integration of technology has meant that residential security is now seen in the context of the whole house and all its services. As Robert Dodge, senior vice president international, Pinkerton Corporate Risk Management says, “The camera which identifies an intruder can also potentially identify safety risks such as smoke or somebody falling over.” Intelligent analytic software which can recognize significant patterns is increasingly part of the security package. 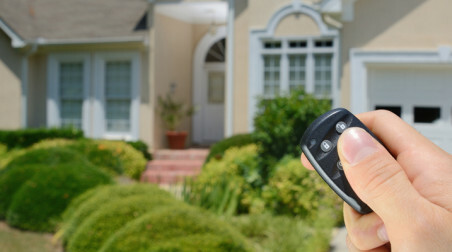 Much of this is automated and integrated: the system can be programmed so that, if someone breaks in to the home, not only does the burglar alarm go off, but all the lights inside and outside the house are turned on full, and the home audio plays at maximum volume. Only the coolest (or stupidest) burglar will carry on under such conditions. But systems only work if they are activated, and according to Williams, some 15 percent of householders don’t turn their alarms on unless they’re going away for a longer period. So it’s not just effectiveness which is important, systems also have to be easy to use. Williams mentions a keypad lock which has a radio connection and, when added to an automation system, can be programmed to turn off the alarm system when it’s opened. What’s important is the way technology is integrated into early warning intelligence and incident response, but, says Dodge, “There’s an over-reliance on technology without proper human detection.” Instead of buying more cameras, people may need a different way of responding to the information they already have, he adds. For that, you’ve got to be at home, but modern technology has certainly improved the potential of remote control. A few years ago, a British man who was on holiday in Spain, phoned the police in his home town to say that his home was being burgled and would they go round and check. He was monitoring his home security cameras on the beach. Yet communication has become a central part of modern security, and it’s not just classical security issues which can be communicated: you can check if your teenage children are staying out too late or if your elderly parents have opened the fridge in the morning. These are also aspects of a wide security concept.